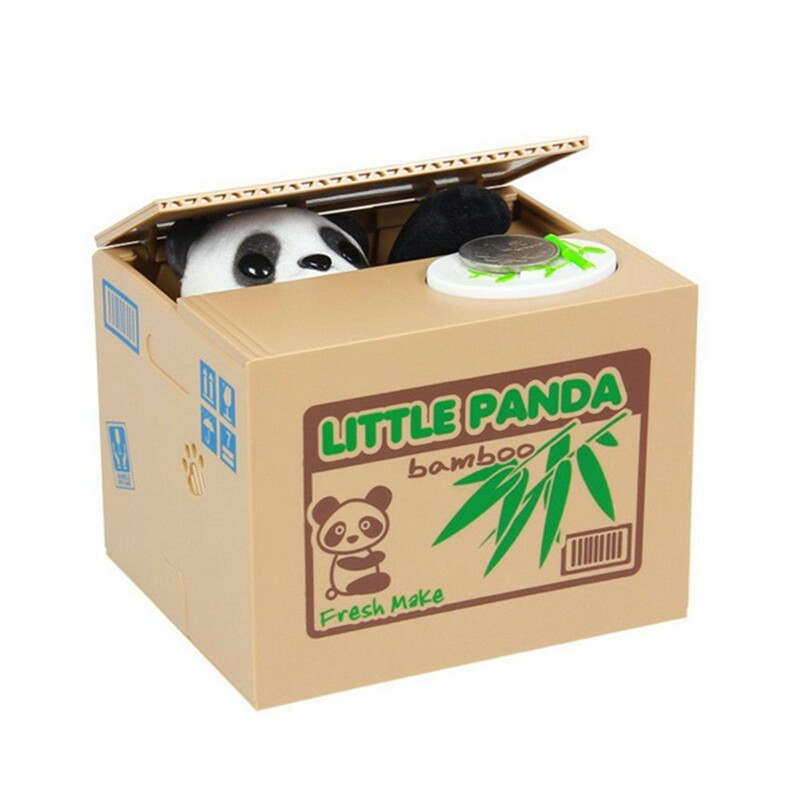 Don't let this cute little panda fool you. 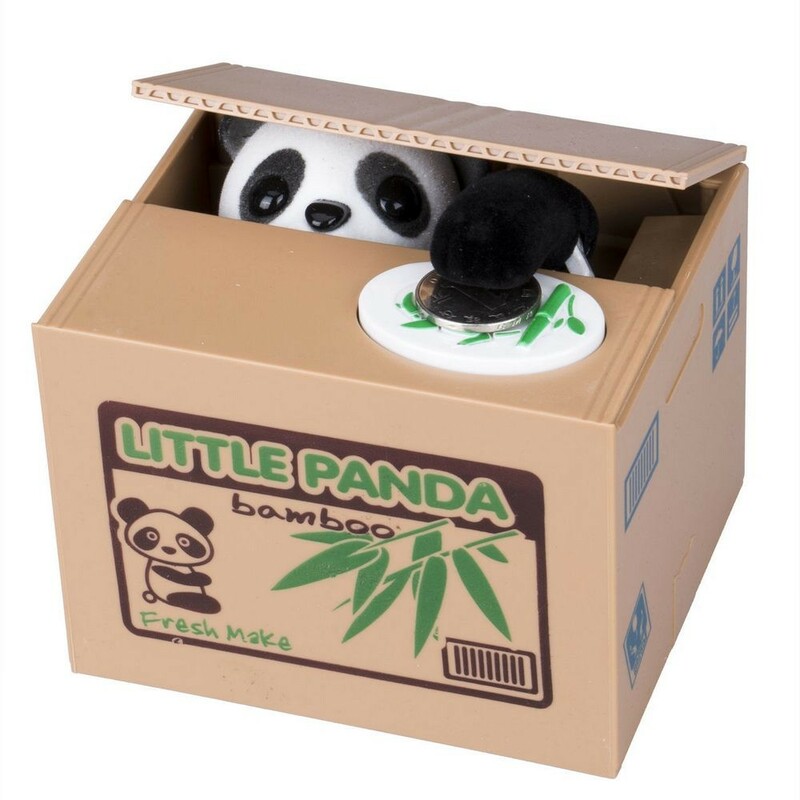 One swipe and the panda will steal your hard-earned right before your eyes! 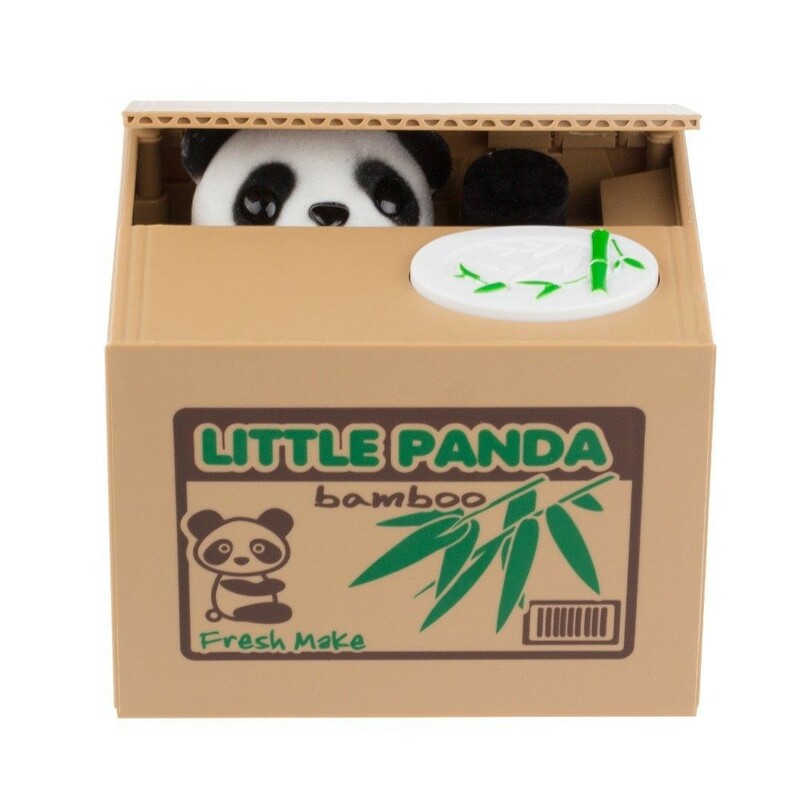 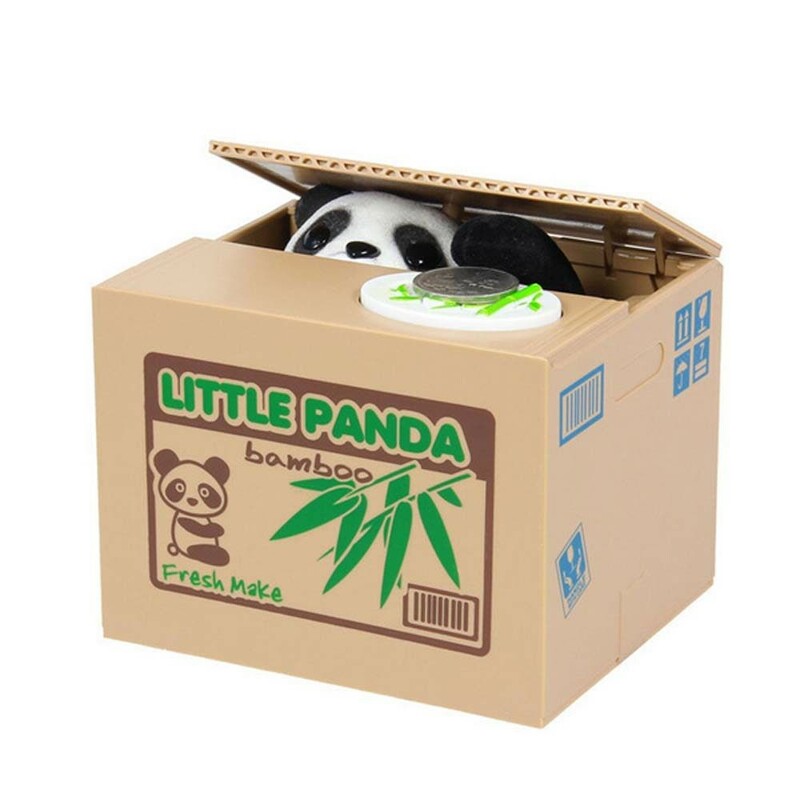 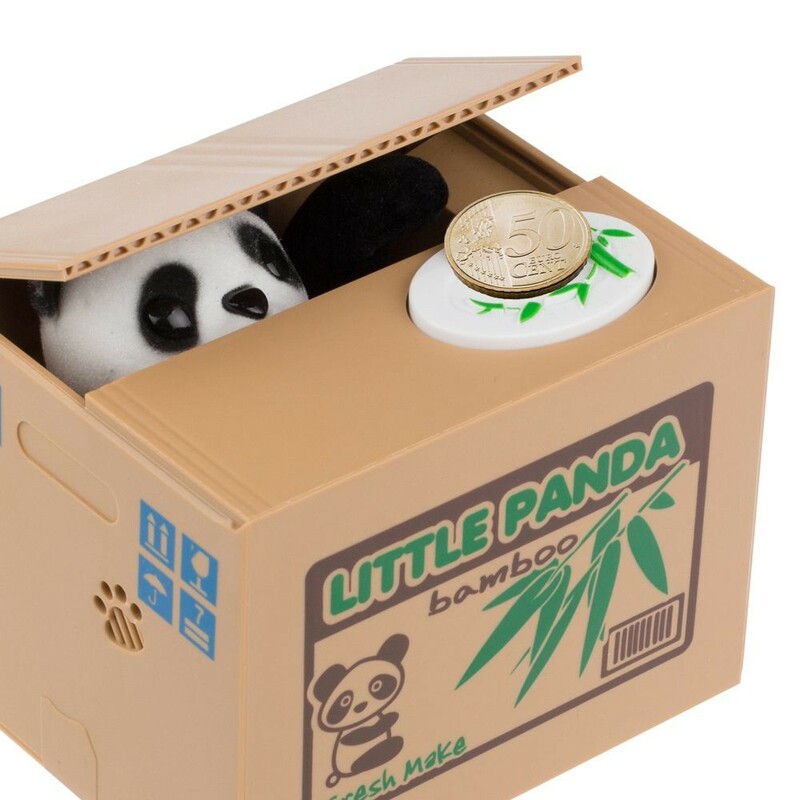 Place a coin on the pad and the panda will pop up and take your coins.